Sundial Care Home rated as Outstanding by CQC. 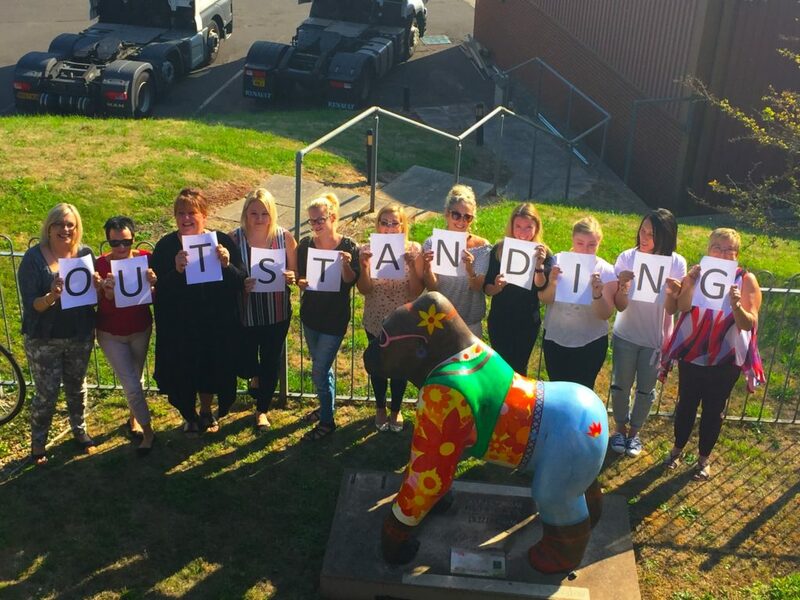 People living and working at Sundial Care Home, the 37-bed, care home in Tipton Saint John, have been celebrating being rated as Outstanding by the Care Quality Commission (CQC). 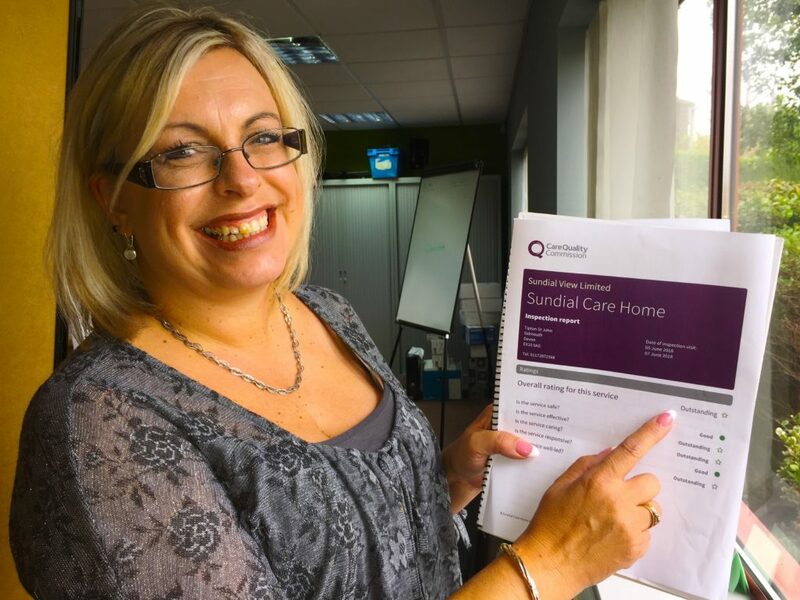 Following a rigorous two-day inspection of all the home’s operations, inspectors concluded that “People received outstanding care and were supported to have the best quality of life possible.” Less than 2% of all homes inspected by the CQC in the country are awarded the Outstanding rating. Sundial Care Home has been recently refurbished by a specialist interior design team and offers a number of fully en suite private rooms. It is set in three acres of landscaped gardens, offering splendid views over the surrounding countryside. Manager, Lorraine Molloy, told us “We strive hard to make the daily experiences of everyone choosing to live or work with us, the best possible.” The home prides itself on providing a bespoke service for everyone living there. “Our family members decide what they want to eat, and our chefs will make it for them” said Lorraine. “We really try to understand everyone’s preferences and make them happen” she continued. Recently a person living at the home had expressed a wish to interact and watch young children play as they reminisced about their own past. Lorraine and her team arranged for wooden climbing equipment to be erected in the grounds and invited local school children to come and play. Lorraine wanted to thank everyone who worked and lived at Sundial. In order to celebrate their success, the home are hosting a free garden party at 2pm on Sunday 2nd September 2018. Anyone interested in finding out more about care for themselves, a loved one, or for opportunities to join the team as a nurse or care assistant, is welcome to come along. and Contact Una on 01404 812495 for more information.